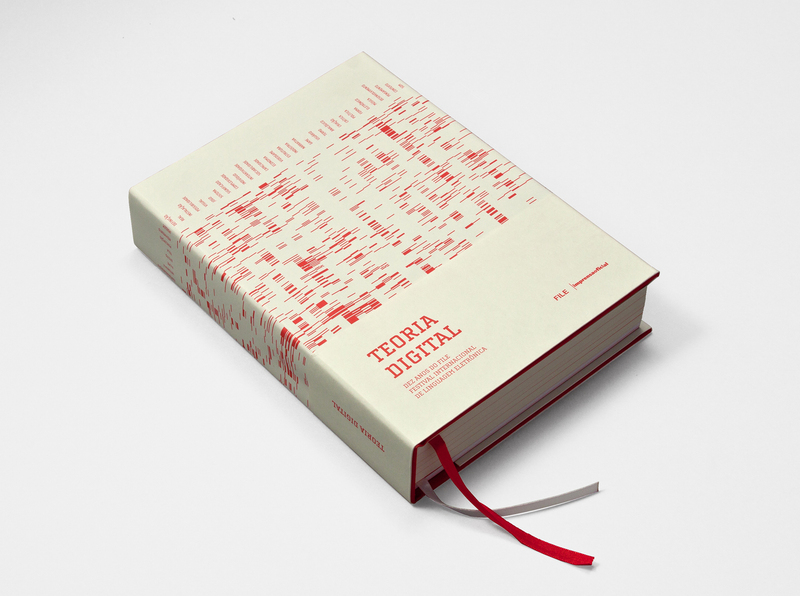 Teoria Digital (Digital Theory) was created for the 10th anniversary of FILE and presents a collection of texts and essays that have been produced along the years. The book design explores non-linear navigation systems of digital media, starting with the cover which presents an overview of the content by showing keywords and their occurrence. Inside the book, each text is preceded by a lead page featuring a synoptical table that illustrates how often and on which page the main keyword appears.